50% off for a limited time.Do you own a blog or a website that can't get any traffic? Are you selling an online product which doesn't get any customers?You're not alone. Read below.Most people today give up on their online journey after some time because they do not see any results. No one visits their website and no conversation occurs on their written articles. This, in turn, demotivates them. Well, we all have been through that stage, I have been through that stage. But, instead of giving up, I looked for a solution. The solution for this problem is to start doing SEO on your website.Now, you can either wait for nights and days for the angel to come and tell Google and other search engines about your website. 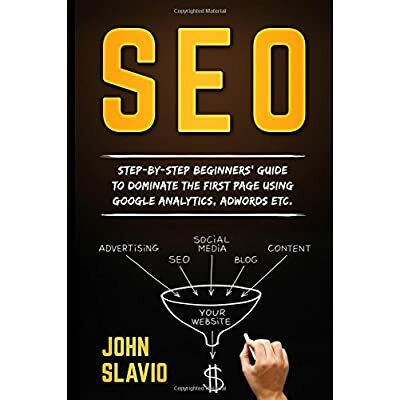 Or, you can take responsibility and understand that no angel or tooth fairy will come to help you and eventually you need to start working for yourself.If you've used SEO before without any results, you may realize that it's really confusing and expensive. The problem is that most of the information out there is overly complicated and out-of-date. This is the reason why most blogs get very little traffic.Our book is simplified down to the basic level for every single person to understandThis book is an online blueprint to how I've been making money from my blogs for years.What's Included in Our Book:What is SEO?On-Page SEO TechniquesOff-Page SEO TechniquesContent MarketingSocial Media Marketing4 Different Keyword Research Tools with Our Personal RecommendationsHow to set up your First Ad on Google AdwordsScroll up and download now.